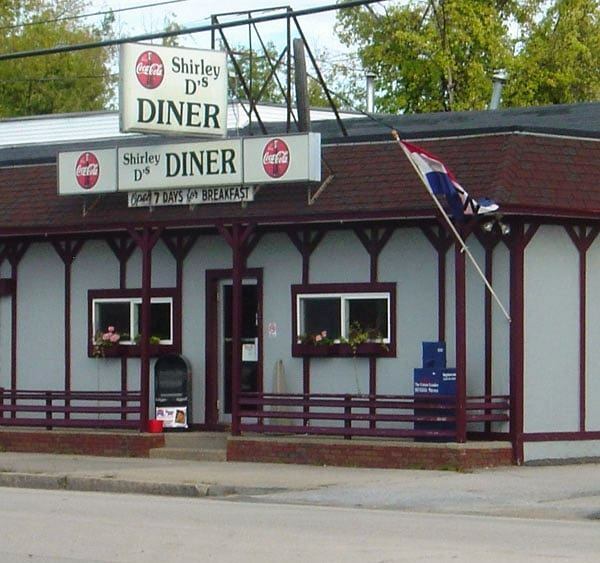 Working at Steve’s Diner – Thoughts on my years of working at Steve’s Diner, 113 Elm Street, Manchester, NH starting in the mid 1970’s. 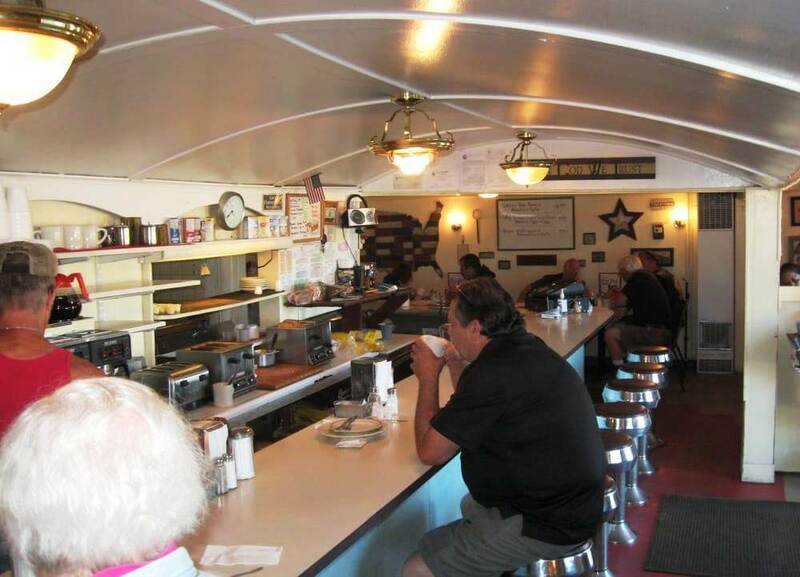 Reading the Rainbow Vets Diner post on my Manchester history page, beckoned back fond memories of when I worked at Steve’s Diner, 113 Elm Street, Manchester, NH. Those were the days! I was 19 years old and freshly on my own with the new responsibilities of paying rent, buying groceries and just trying to get along on a check from a low paying office job that just wasn’t cutting it. So, when a coworker suggested I take a job at a diner to make extra money, I jumped at it and started working at Steve’s Diner. It was 1975. I started off working just the weekend, night shift, 12 AM – 3 AM, what was commonly known as the “bar rush”. I loved it! I made more money on tips in those two days than I made in an entire paycheck from the office job. So when I was asked to work more hours at the diner, I jumped on it. ” Hasta la vista, baby”! I gave my two weeks notice and never looked back. I worked at Steve’s, off and on, for over 13 years. Most of those years for Steve Hadgigeorge, the owner of Steve’s Diner. 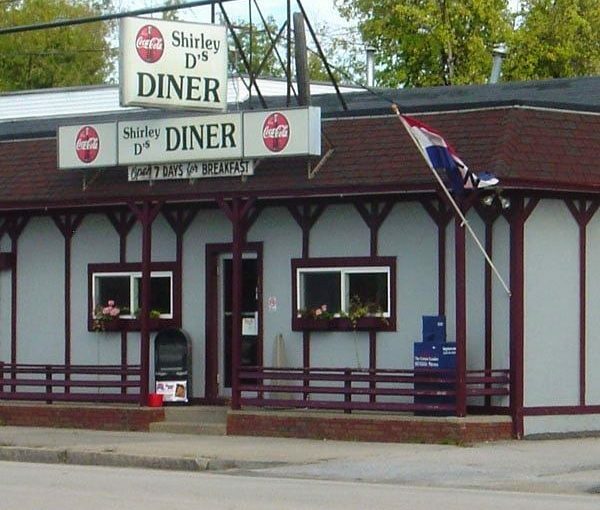 A bit for Shirley Deschuiteneer, who bought the diner from Steve and renamed it Shirley D’s, but all the memories I speak of are from the early years working the bar rush at Steve’s where folks from every walk of life showed up for a bite to eat. For example, the lightweights would show up early for a burger or breakfast or just a cup of coffee before heading home after an early night at the bar. The heavyweights, the “last callers”, the college kids, the lotharios (ones who struck out at the bar and thought they would try at the diner), couples, singles and the brawlers would show up, all at once, around 1:30 AM, drunk as hell, wanting something to eat. They’d be lined out the door, sometimes in the freezing cold Winter, with other patrons, already seated, yelling, “Shut the door, shut the door! We’re freezing!” They’d try to shut the door, squeezing in against the jukebox or the poor people sitting at infamous table #6, situated right by the door, but, inevitably, the door would be opened again from folks trying to find a spot to eat. Most were well-behaved, but some were itching for more excitement and a fight would, eventually, break out. Fist would fly, pushing would ensue, which would muster up a bunch of bar rush regulars who would then surround the brawlers, pushing them out the door, to be barred from coming back in for the rest of the night. It got so bad, Steve had to hire a cop to sit at the door. One of which was Danny Goonan. Loved that guy. He was great and didn’t take any crap. Not that anyone was stupid enough to mess with him. He was a big guy who didn’t have to say a word for patrons to know they better behave or they were going to find out really fast what happens to those that don’t. Then there were the college kids who would “chew & screw”, meaning they’d order their food, eat it up, then run out the door without paying. It was a game for them. It got so bad we had to implement a “pay when ordered” policy. Suffice to say, they didn’t like that very much. Next were the lotharios, going stool to stool, table to table, flirting with all the ladies. They rarely ate and usually just ordered coffee that they’d carry with them like a drink at a bar. All the while, back in the kitchen, our poor cook, Eddie Hudon, worked his magic on the grill. That guy was AMAZING! Nothing seemed to bother him. He just plugged on, frying those eggs, flipping those burgers, like a machine. The only thing that ever seemed to bother him was someone ordering well-done panfries or wanting their english muffin grilled on the grill during bar rush. Oh my goodness! He got so mad. I’d usually highly recommend against that to the patron trying to order that with a look of “Oh, no, no, you don’t want to do that right now!”. Most would catch on and take what they got. The others, who would insist, would be waiting, and waiting for their order to be served while their buddies, who weren’t dummies, were served right away. They knew better then to insist on well done anything the next time they visited. Of course, our biggest seller was breakfast. I usually worked the counter. 13 stools in all. The person who worked the counter was also responsible for making the toast. Lots of toast, all night long. Never ending toast that was never hot or fresh enough for some patrons. Comically, if they had sat at the counter they would’ve known why their toast was cold. It was because I had rows of stacks of toast made to be grabbed by other waitresses when their food come up. They would yell their orders to me, “I need 3 orders of white!”. Another would yell, “2 orders white, one wheat, one english muffin” and on and on ‘ til about 2:30 AM when the bar rush would slow down and customers would resume getting hot toast – maybe. By about 3:00 AM, the bar rush would be over and the bartenders and waitresses from area clubs, like the Red Onion, the Salty Dog and some of the taxi drivers, would start coming in. I loved those people. They were polite and great tippers. They appreciated what we had to deal with and their tips reflected that appreciation. After that, around 4:00 AM, the day people would start coming in. By then the night girls would have left, leaving just one waitress (usually me) to stay until the day waitress arrived at 6:00 AM. I’d stay on a bit, finishing up my tables and end up going home around 6:30 AM, , drained, reeking of nicotine and grease but with a pocket full of tips making it all worthwhile. The Rainbow Vets Diner opened at the corner of Valley and Elm Street in Manchester, NH on June 19, 1941, where once stood Mr. Steak Restaurant and now stands a Credit Union. Rainbow Vets Diner was moved to Hooksett, Rt. 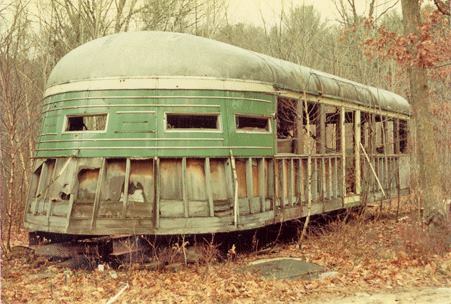 28, where, sadly, it was left to rot and was later demolished. Here you can see the stools and toast & coffee station. 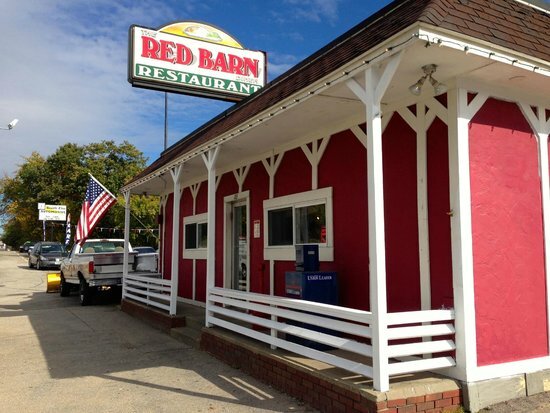 Outside Red Barn Diner. New paint job but still the same as when it was Steve’s Diner. 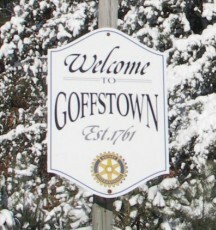 During the bar rush, patrons would wait outside to get in. 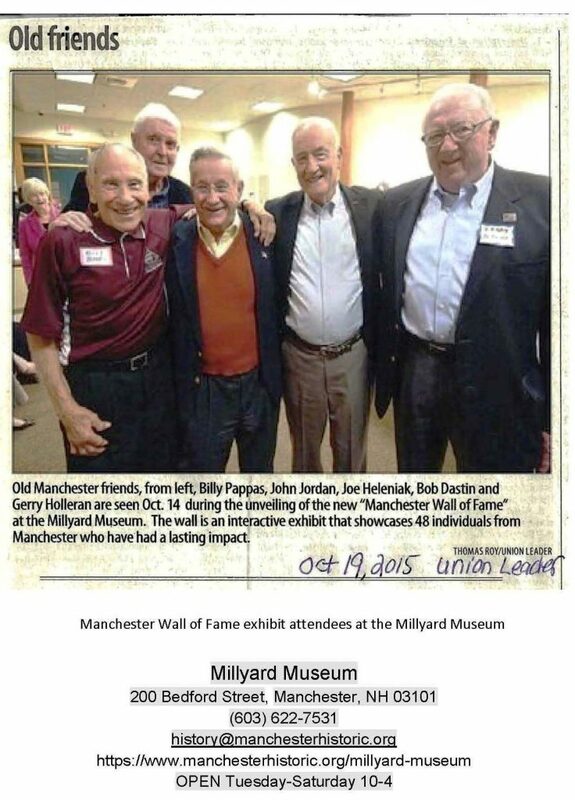 Chair of Manchester Studies honoree. 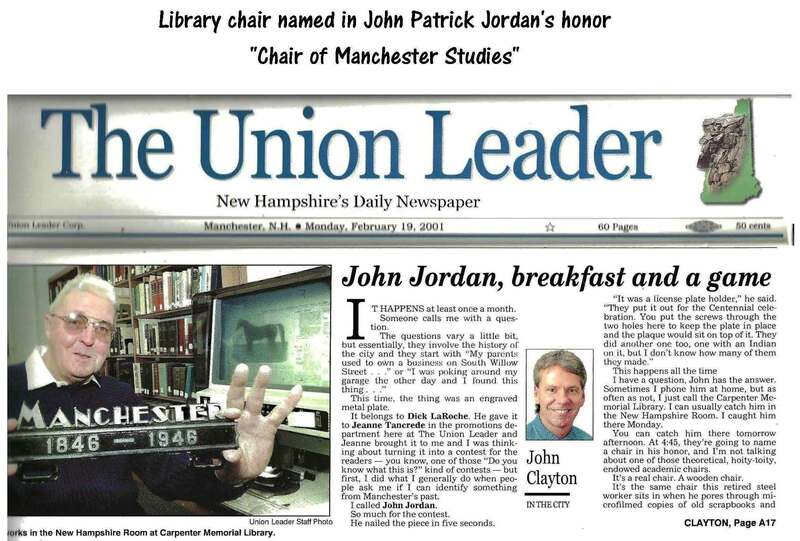 John Patrick Jordan was awarded the honor of having a chair, located in the New Hampshire room of the Carpenter Memorial Library, named after him. 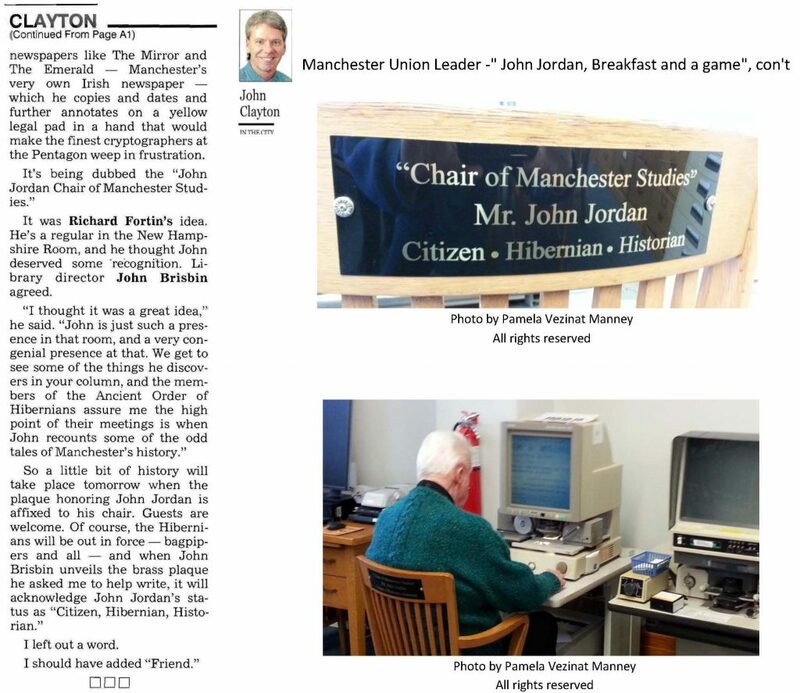 Chair of Manchester Studies – John Patrick Jordan has a chair named after him at the Carpenter Memorial Library in the New Hampshire Room. 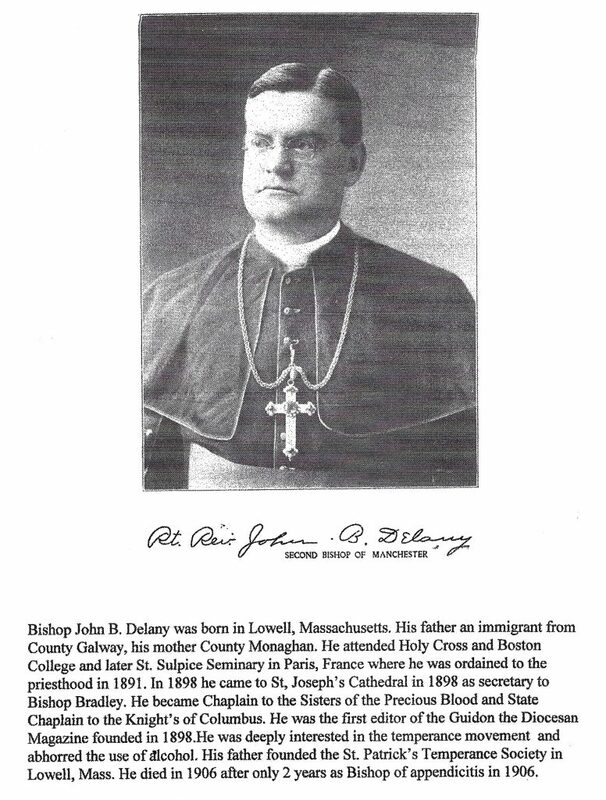 Source: Manchester Union Leader, “In the City” column by John Clayton, February 19, 2001. 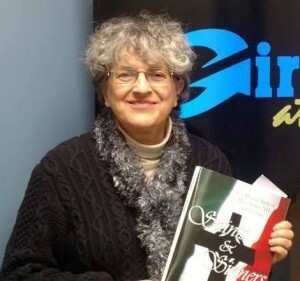 Aurore Eaton, Manchester’s own History Lady and author, went on a local radio station to discuss John Patrick Jordan‘s book, “Saints & Sinners, the Pioneer Irish of Manchester, NH 1835 – 1900“. Here’s the audio of the show. Check out Aurore Eaton’s new book, “The Amoskeag Manufacturing Company: A History of Enterprise on the Merrimack River“ being sold today at the Manchester Millyard Museum. Love history? Here’s list of books for sale at the Millyard Museum. 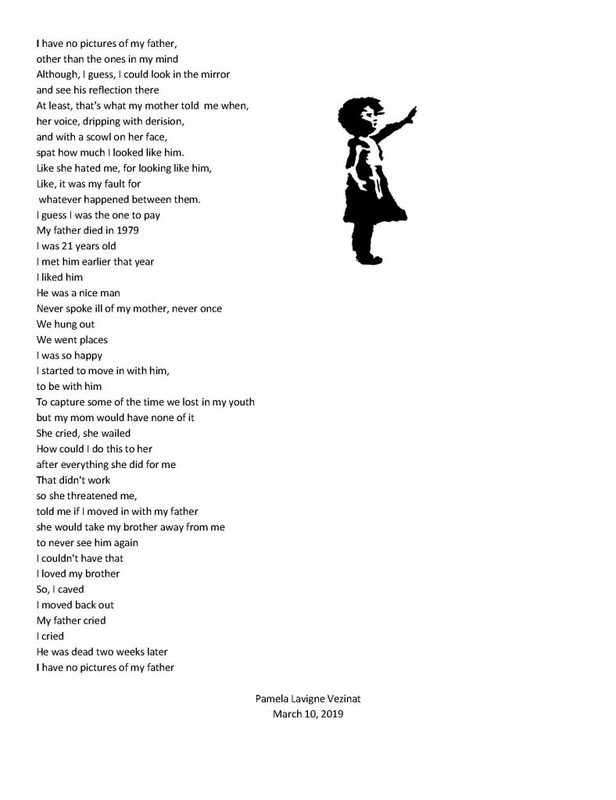 Audio captured from the January 22, 2016 segment of the History Lady with Aurore Eaton on the Girard at Large radio show.